We love to build and execute marketing processes that stimulate growth for our clients. 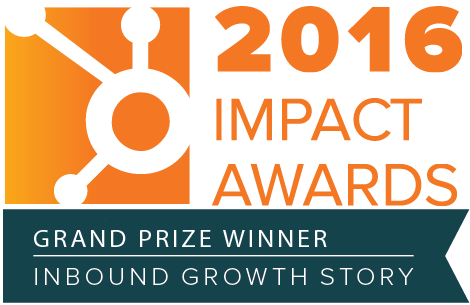 Matter of fact we won the 2016 HubSpot Impact Award for the growth our clients achieved. We're a HubSpot Gold Certified Partner. We aren't like other inbound marketing agencies who started as traditional agencies and had to transition to new methods. We started as an inbound marketing agency, inbound is all we've ever known and it's all we've ever done. We're your inbound marketing team.